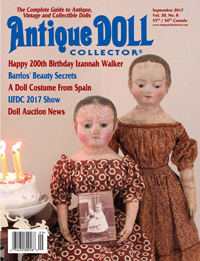 Izannah Walker was born 194 years ago today on September 25, 1817. Happy Birthday Izannah! 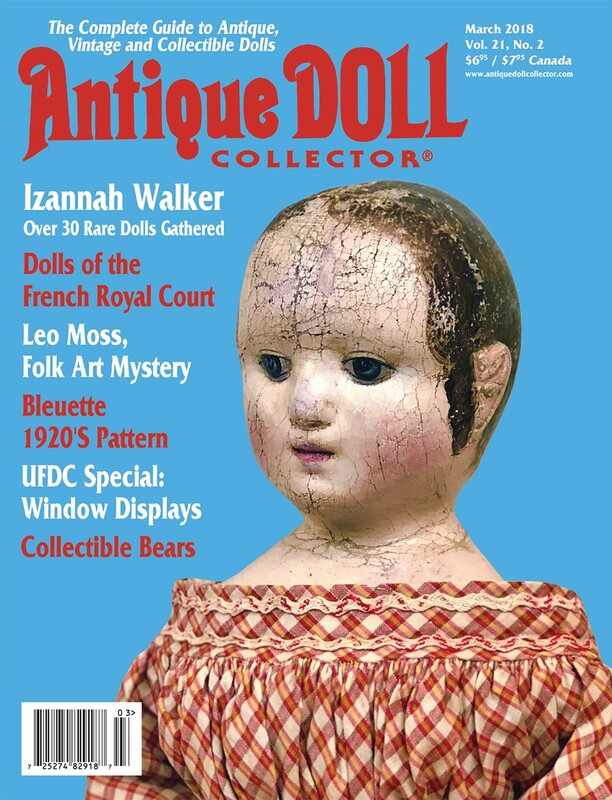 To commemorate the occasion I’ve created a special Izannah Birthday Doll with an outstanding eleven-piece wardrobe. 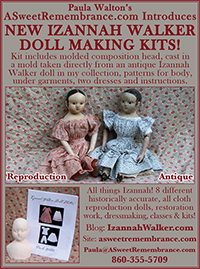 I’m also having a birthday sale, from today 9/25/11 through next Sunday 10/2/11, all reproduction Izannah Walker dolls, Izannah Walker Doll Making Classes, Izannah Walker Doll Clothes Patterns and Spun Cotton Ornament Classes are 10% off. 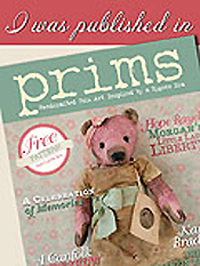 This sale includes custom order dolls and as always you are welcome to place items on lay-away. 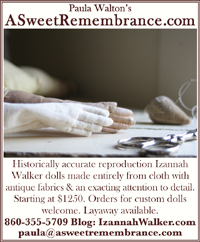 If you have any questions, want to place an order, or would just like to chat about Izannah and her dolls and mine, I can be reached at 860-355-5709 or paula@asweetremembrance.com. 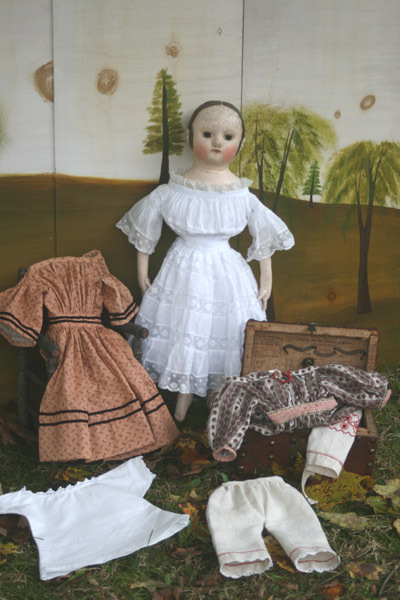 SOLD - Birthday doll and her wardrobe. Even though I was rushing to beat the rain and falling darkness, I had the best time yesterday taking photos of this doll. It was great fun to “play dress up” with her. Her extensive wardrobe includes three dresses, two chemises, two pairs of pantalettes, two petticoats, an apron and a real coral bead necklace. 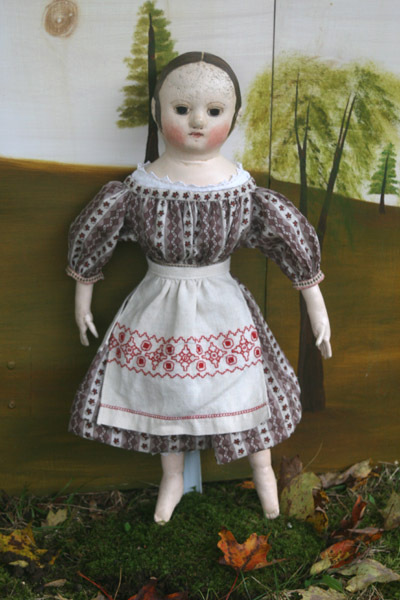 If you’d like to add more pieces to her wardrobe I can make her hand made leather shoes, a cotton sunbonnet and a straw bonnet. SOLD - This dress has wonderful sleeves, notice the rows of gathers at the top of the sleeve by the shoulder line. SOLD - This view shows the yards of 1/8th inch velvet ribbon encircling the sleeves, skirt and waistband. SOLD - The fabric for this dress is a very old 24 inch wide pumpkin orange on white print with small brown leaves and red berry dots. 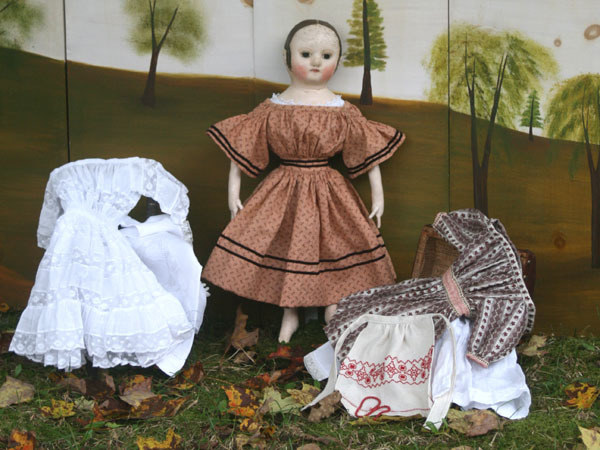 SOLD - Here she is wearing her brown and red dress, which is made from another fantastic early fabric. SOLD - She comes with a real coral necklace, which matches the Turkey red embroidery on her linen apron. SOLD - This view shows her tiny stitched toes peeping out from beneath her pantalettes. 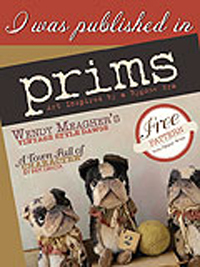 The pantalettes have Turkey red embroidery to match her apron and crocheted lace in a triangle pattern that echos the zig-zag stripes in her dress fabric. Look at the coordinating fabric lining the "false hem" of her dress. SOLD - She's all dressed for a party in this sheer cotton dress embellished with row upon row of lace insertion. SOLD - Two long ringlets curl in front of each of her ears. Thank you for looking! 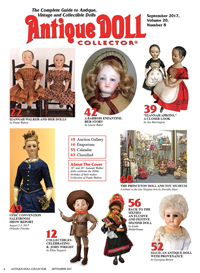 To read more about, or purchase this doll please visit my website A Sweet Remembrance. I’d be happy to answer any questions you may have or provide additional photos, just ask 🙂 860-355-5709 paula@asweetremembrance.com. 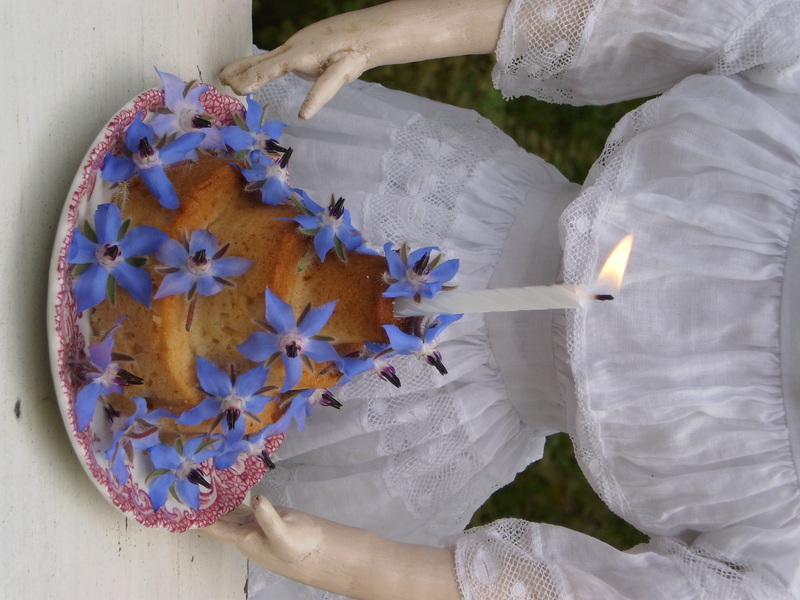 Birthday pound cake decorated with fresh borage flowers. This year the girls and I baked a pound cake for Izannah’s birthday using a c.1754 receipt that I found in The Williamsburg Art of Cookery. This receipt is old enough to have been a well loved family favorite by the time Izannah was born. Here’s the recipe so that you can bake one too. *I baked my cakes in a 300 degree oven, 30 minutes for the doll size cakes and two hours for the larger version. 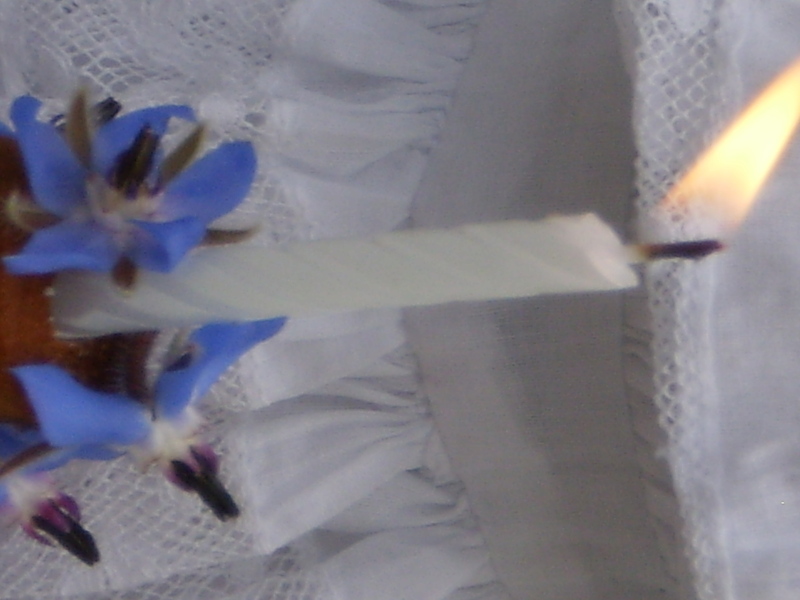 Click here to see the recipe for last years Birth-day Pudding. Thank you for stopping by to party with me and don’t forget to light a candle and make a wish for Izannah! Hi Paula! It’s so sweet that you celebrated Izannah’s birthday. 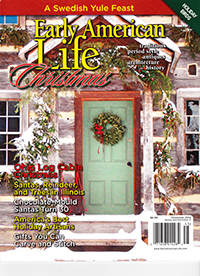 I’m going to get the pound cake receipt….a favorite in my household. Thanks for that. It’s nice to hear from you! I celebrate “Izannah Day”, as it’s known around our house, every year 🙂 It’s the big finish to “Izannah Week”. The last few years “Izannah Day’ has become an even bigger celebration here than “Sewing Machine Day” (September 10th in celebration of Elias Howe’ invention of the first practical sewing machine which he patented – # 4,750 – on September 10, 1846). The pound cake is good, we are still eating it 🙂 I like the mace, it’s a nice change from vanilla. Your Shepard’s Pie sounds delicious, I made Mushroom Stroganoff tonight.